Guards your dental appliance by creating a think protective film that prevents food from sticking to it. Makes your dental appliance look like the day you first brought it home. Preferred over other dental appliance cleaners such as Retainer Brite, Fresh Guard by Efferdent and CleanGuard. 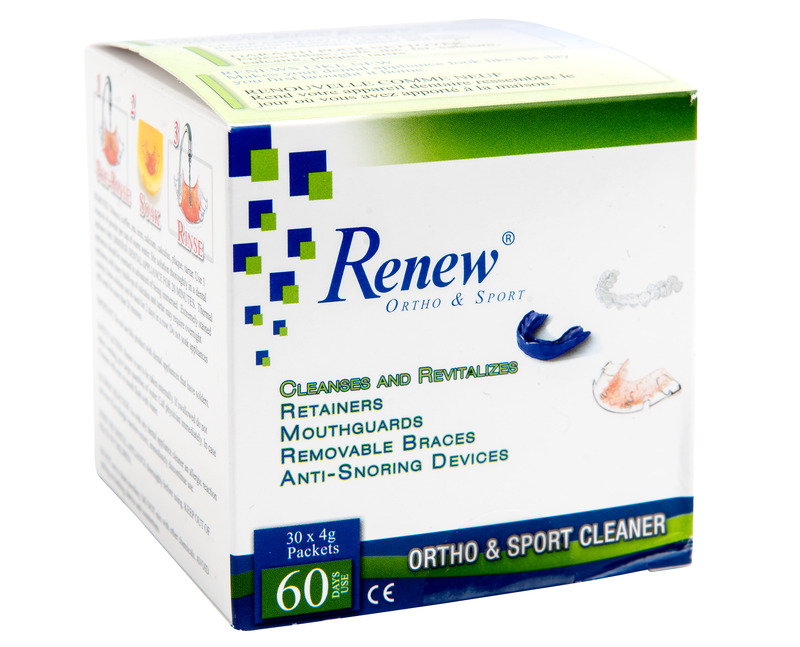 Buy Renew Ortho and Sport online today! 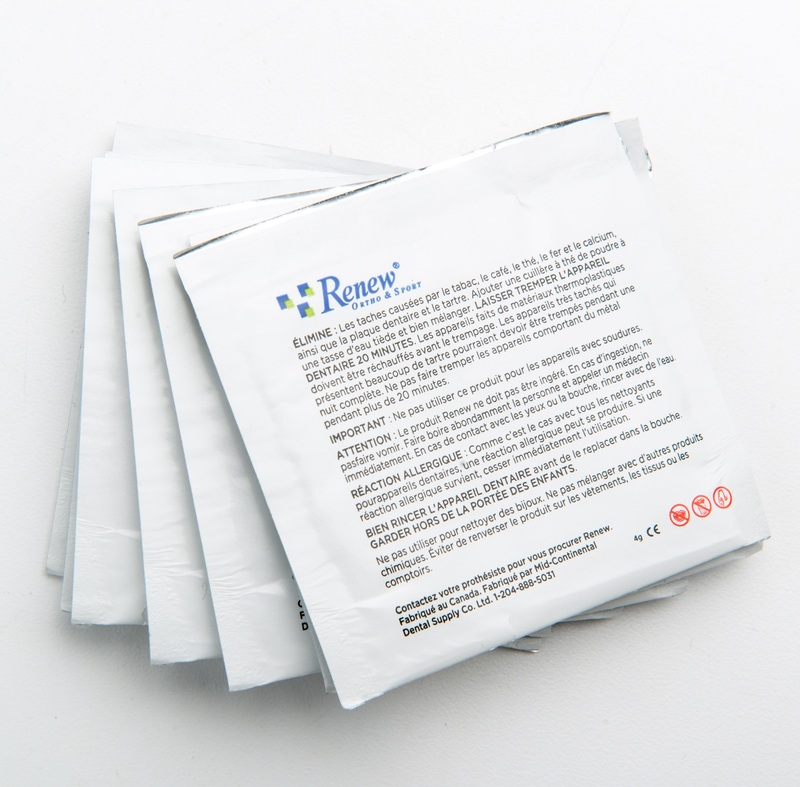 Mid-Continental Dental Supply supports your “automatic recall system”, by providing you with 25 free patient samples in every case! We also carry Orthodontic Baths that you can purchase for your clinic.